We have been providing friendly and reliable internet and computer solutions since 1996. 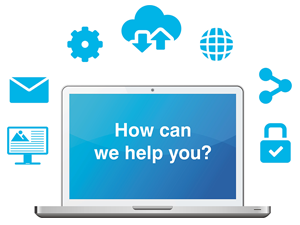 Over the years our business has evolved from a business to business service to a "Yes we can help you" solution provider. Throughout all of our changes one thing has remained consistent; our commitment to helping people. No matter how big or small the problem may be, we commit to finding a solution to achieve our clients' goals, and do it in a cost effective way. Copyright 2011-2013 © FSJ Internet Guys. All rights reserved.